It has been two months since my last post! 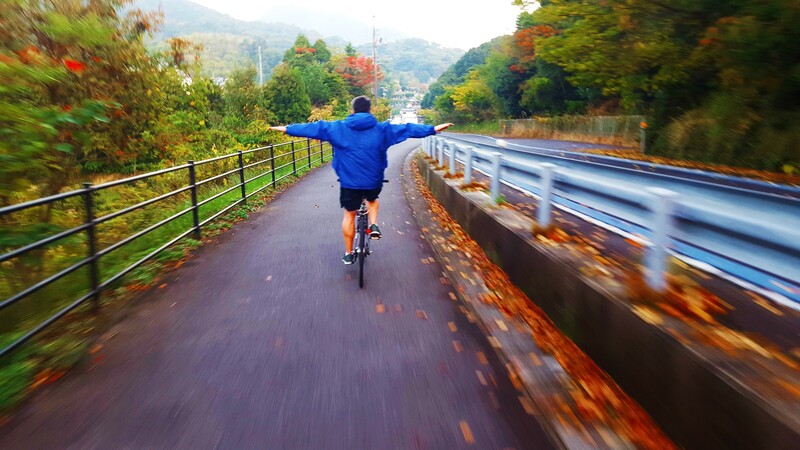 A lot has happened in that stretch (of which I will address in the very near future), but in the meantime, here is an article about cycling in Japan that I started after Sam and I visited that fabulous country for our “mandatory” R&R back in November of 2015. I just hate mandatory R&R’s! 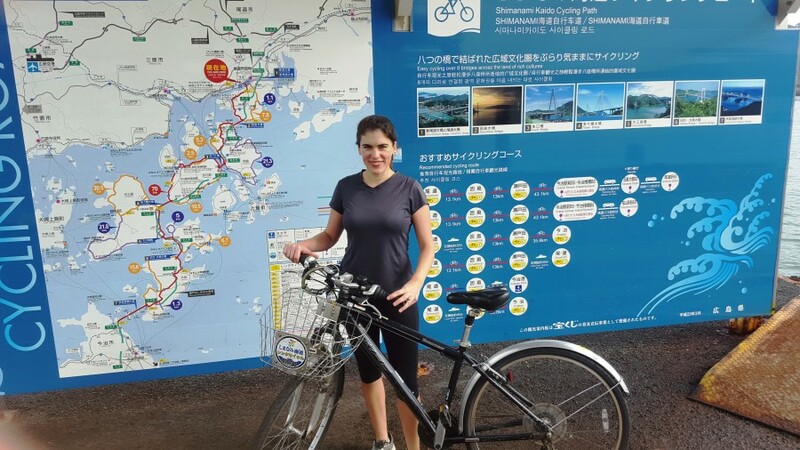 Anyway, two of our favorite experiences while visiting Japan were 1) cycling around Kyoto—a highly recommended activity that you can read about here on The Wayward Post, and 2) island hoping via bicycle along the beautiful Shimanami Kaido cycling trail that stretches over the Seto Inland Sea, just north of Hiroshima. 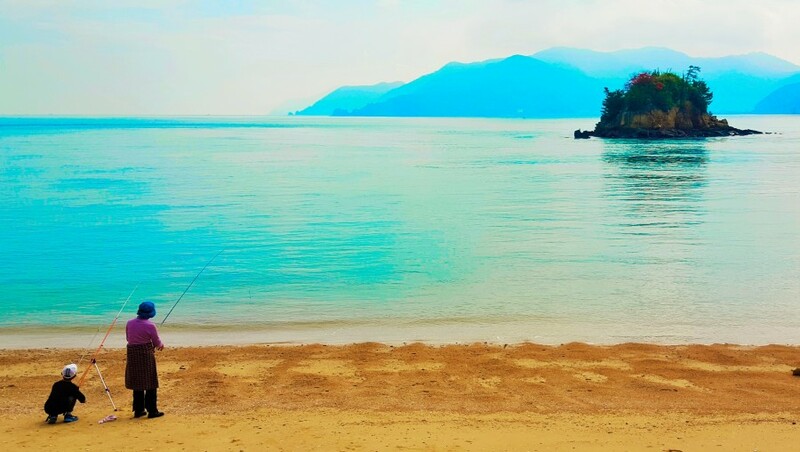 Spanning across Japan’s Seto Inland Sea, lies a bicycling paradise. 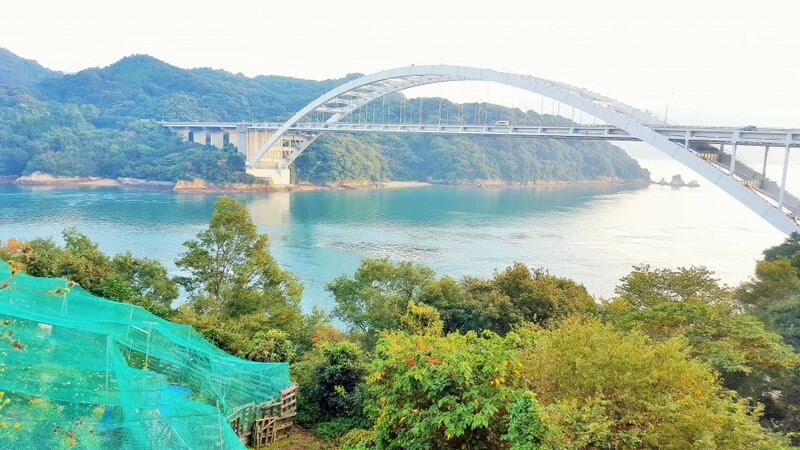 It’s the Shimanami Kaido bike trail, where seven suspension bridge structures connect eight islands for a one-way stretch of approximately 70 kilometers*. Temples, museums, castles and hot springs dot this chain of isles, and when the sun burns away the clouds, the view of scattered mountains rising from the sea might seem too beautiful to be real … except that it is. 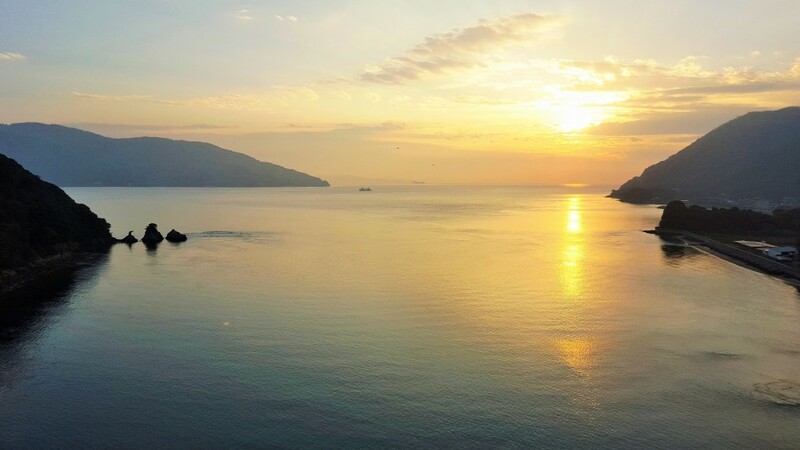 Indeed, the Seto Inland Sea is touted as Japan’s most scenic waterway by the Japan National Tourism Organization and is one of Japan’s first designated national parks. All of that natural beauty is impressive, but so are the bridges. 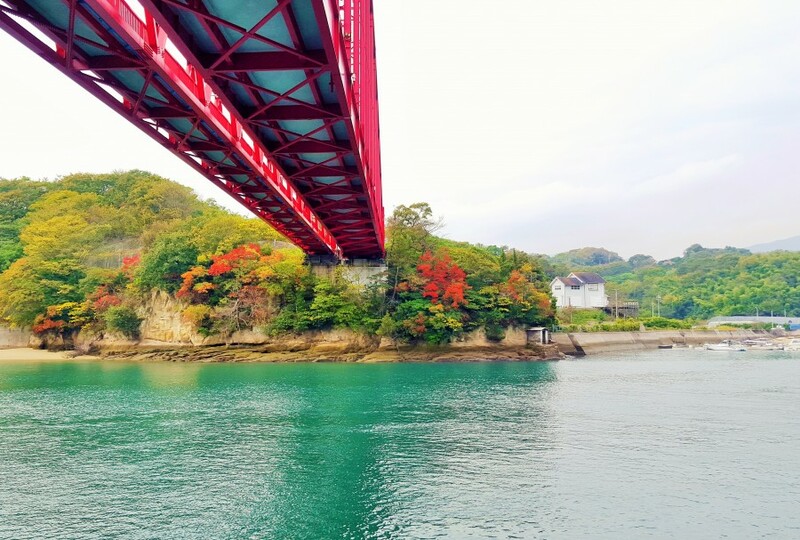 Aside from offering cycling-break-worthy views, the last three successive Kurushima-Kaikyo suspension bridges arching over 4000 meters from Oshima Island to Imabari compose the world’s longest suspension bridge structure! But what makes this ride especially great is the user friendliness of it all. No bike? No problem. The Shimanami Kaido bike trail is designed for tourists arriving sans cycle. Rent-a-Cycle terminals are sprinkled along the entire stretch, so that it is entirely feasible – indeed it is the normal practice – to rent a bike at an endpoint, cycle whatever distance you desire, then drop the bike off at a nearby terminal and take a bus back. Depending upon the end from which one starts, the Shimanami Kaido bike route begins in the town of Onomichi, on Japan’s largest island of Honshu (about 83 kilometers north-east-ish of downtown Hiroshima), and ends seven islands over in the town of Imabari, on Japan’s fourth-largest island of Shikoku. Or vice versa. Along the way, villages tucked beside glassy coves provide a glimpse of island life. Children cast fishing lines into the sea and octogenarians stroll with lifelong friends along paths carpeted with pink azalea petals. 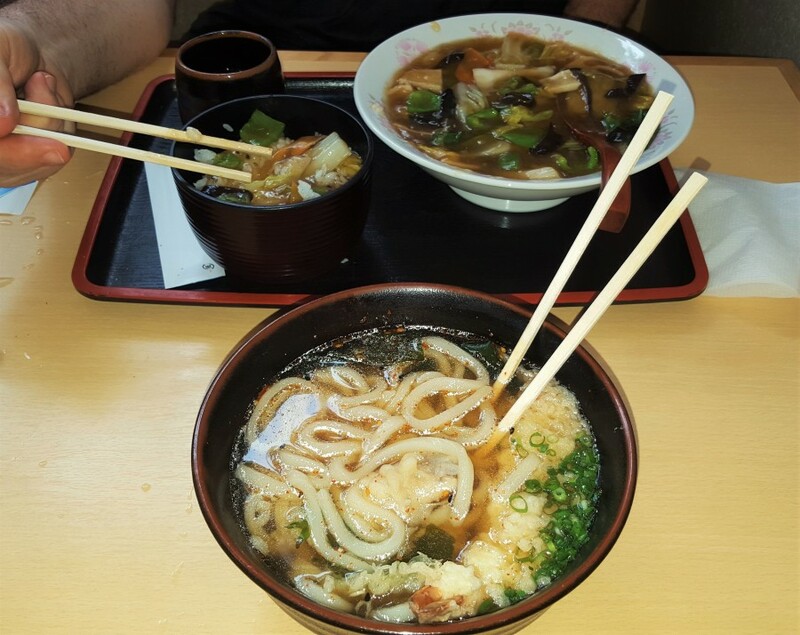 Cafes serve up steaming bowls of udon soup, made from scratch and packed with the day’s catch. Local beer and soft-serve cones of soymilk ice cream make it hard not to stop (Hey, you’ve earned it!) while street-side stalls hawk tangerines, freshly plucked from orchards that crawl up the mountainsides. 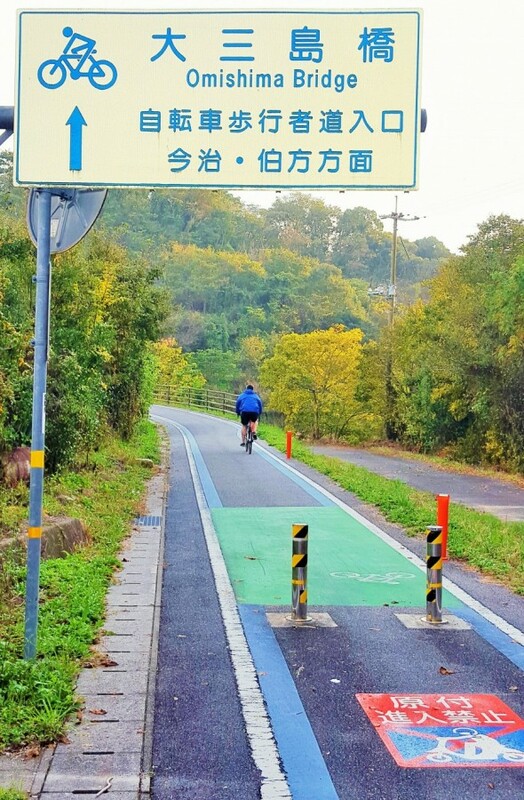 Following the recommended Shimanami Kaido cycling route could not be easier: just stick to the blue line tracing along the streets, and watch for the street signs dedicated specifically to cyclists, pointing out important information such as upcoming bridges. While the route follows the toll road at several points, cyclists have their own lane or sidewalk for most of the way and traffic is relatively minimal. 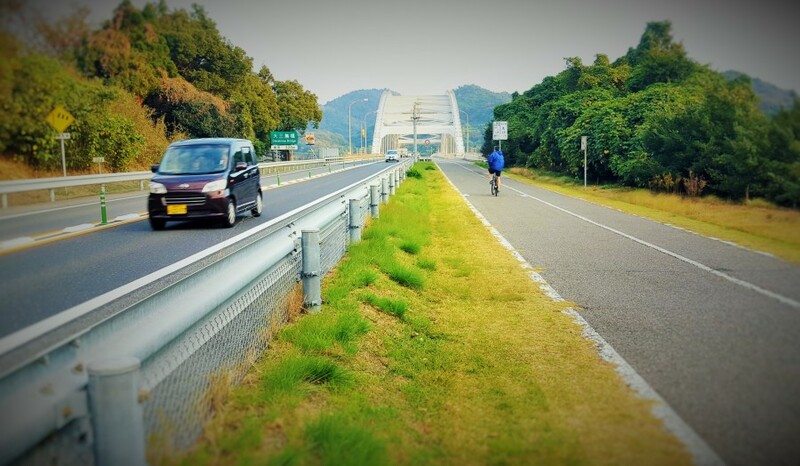 The island to island route technically incorporates seven bridge structures, but the first (or last, depending upon one’s route) bridge, from Onomichi to Mukaishima Island, is the only one without a bike lane and thus, should be avoided. 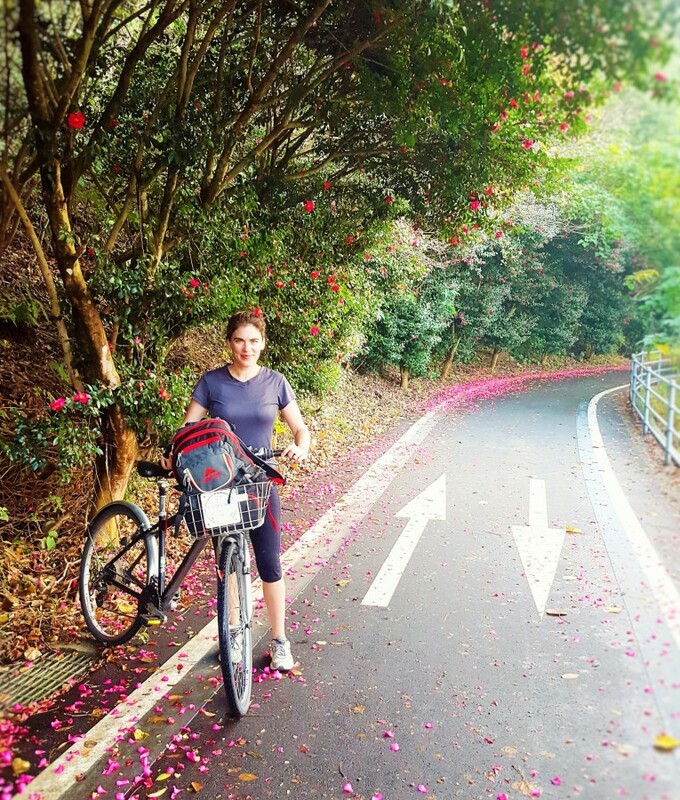 Instead, begin your journey using the bicycle ferry just behind the Green Hill Hotel, which claims to be the shortest ferry ride in the world! The ferry (a mere 110 Yen) and return bus ride were the only tickets we purchased as road tolls were waived for cyclists as part of a promotion package that was set to expire in March of 2016. According to the Shimanami Kaido tourist website, however, the tolls are still set at 0 Yen, so hopefully the fees are still waived for cyclists. Bring some extra change just in case! Most intermediate cyclists can easily finish the entire one-way route in a day, including photo stops and snack breaks. Your chosen bicycle type will make a big difference on the overall experience; the hybrid roadsters with a cute basket are lots of fun, for example, but they’re also more laborious than a road bike (I should know; it’s the kind I chose!). And while the route is mostly flat, those [mostly gradual] inclines leading to bridges and a few hills can prove challenging. None of these are insurmountable even for beginning cyclists, but time management is key since most Rent-a-Cycle stations close at five. The Imabari Town Hall accepts returns until 8 pm while the Onomichi Civic Center or Marine Youth Center accept returns until 10 pm, but keep in mind that public buses do not run late into the night; the last public bus from Imabari Station, for example, leaves at 7:30 pm. We learned this the hard way as we were lazy and didn’t start out from Onomichi until 1 or so in the afternoon. 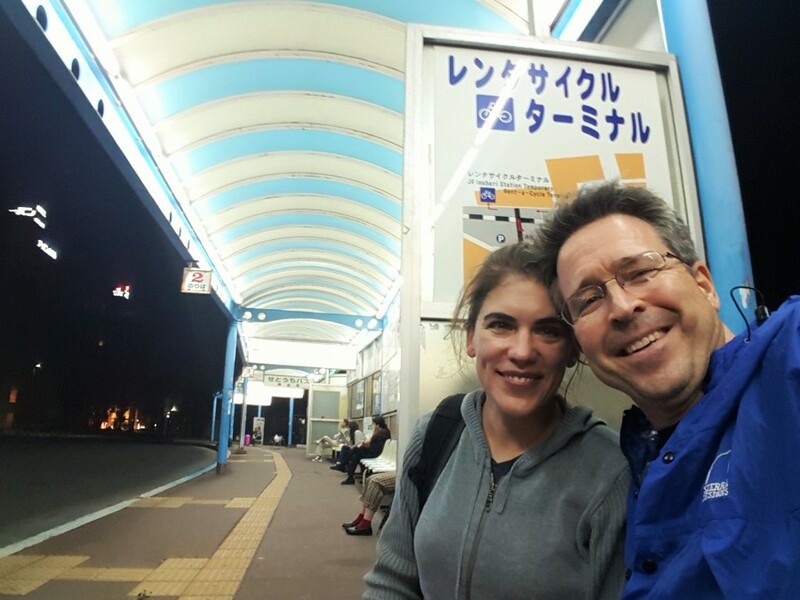 After a lunch and way too many photo breaks, we found ourselves rushing toward the Imabari station in the dark, barely catching the 7:30 bus in time …. But the lunch was worth it! 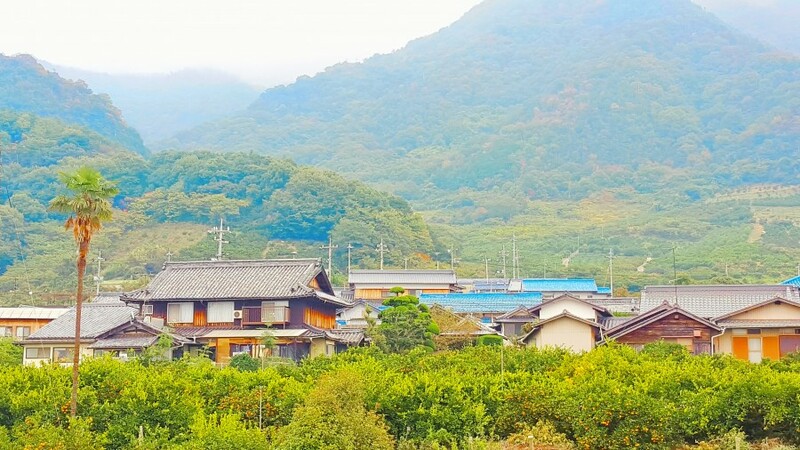 In any case, both the Go-Shimanami and Japan Guide sites provide helpful information on the Shimanami Trail, including maps, public transport schedules, etc. Don’t be like us; use this information to plan your day and provide yourself with some wiggle room. 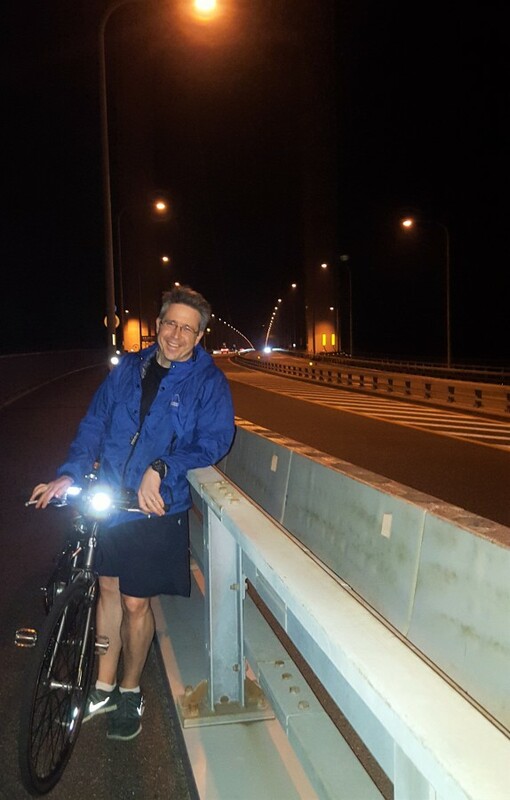 I mean, the last thing you want to realize after cycling nearly 70 kilometers is that it is too dark to actually see the World’s Largest Suspension Bridge Structure …. 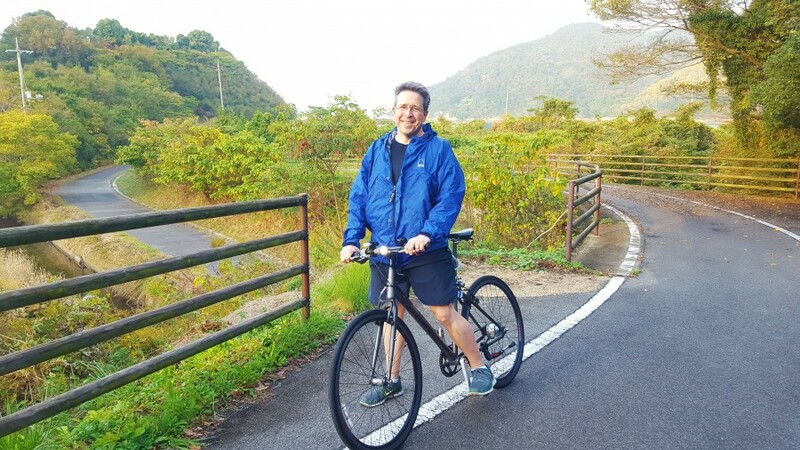 Cyclists currently have three options when taking on the Shimanami Kaido trail: bring your own bike, rent one from the local Rent-a-Cycle terminals or rent one from the Giant bike shops. The latter option is the most expensive—though the bikes are of a higher quality than most found at the Rent-a-Cycle terminals. 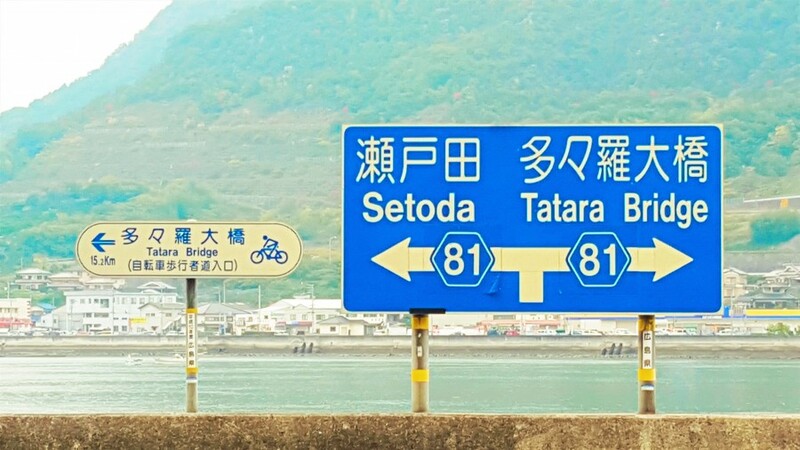 However, Giant terminals are currently only found at the two end points of the cycling route: one in Onomichi and one in Imabari, so this limits one’s options for bicycle drop-off. For an extra fee, Giant can arrange a private bus pickup at an agreed-upon area, so scheduling for bike drop-off and public bus return becomes a non-issue. Most cyclists (Sam and myself included) acquire bicycles from the Rent-a-Cycle terminals, which offer a range of roadster, hybrid, mountain, tandem, electric-assist and even fold-up bikes to choose from, though it is advised to come early in the morning for the best selection. 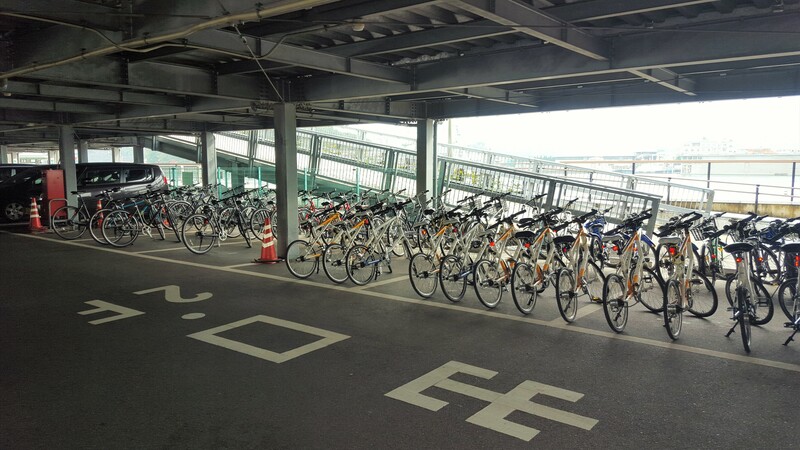 The photo below is the Rent-a-Cycle station near the Onomichi trail-head. Children’s bikes are also available. Another plus? Rent-a-Cycle Terminals are stationed on each island for those who choose to call it a day a bit earlier. 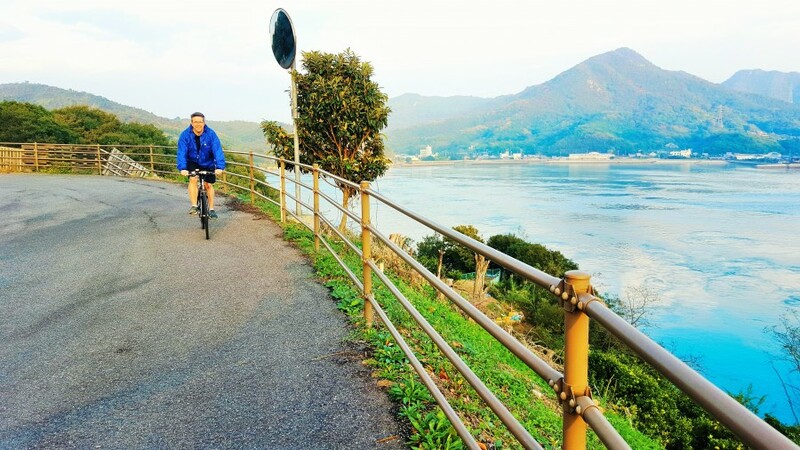 Some cyclists even spend a night or two on the islands between Onomichi and Imabari, thus having more time to savor the plethora of attractions along the way … and take in the scenic route alternatives. As of October 2015, the current rate for a standard adult Rent-a-Cycle rental is 1,000 Yen with another 1,000 Yen deposit. The deposit will be returned only upon returning the bicycle to the same terminal, so if one rides one way or drops the bike off somewhere in between termini, the deposit more or less becomes part of the rental fee. Most bikes come with a basket, a lock and a helmet. Many of the Rent-a-Bike stations have coin lockers to store belongings; a handy feature for those hopping off the train or bus for a cycling day trip. Also, the extremely helpful Shimanami Kaido Bike Touring Guide Map is offered at Rent-a-Bike and Giant terminals, which details the recommended route as well as providing scenic alternatives, sightseeing spots, bus stations, ferry routes, Rent-a-Cycle terminals (including operating hours and phone numbers) and lots of other information. Both the Onomichi Rent-a-Bike and Giant terminals are located near the train station and adjacent to each other, by the Green Hill Hotel. 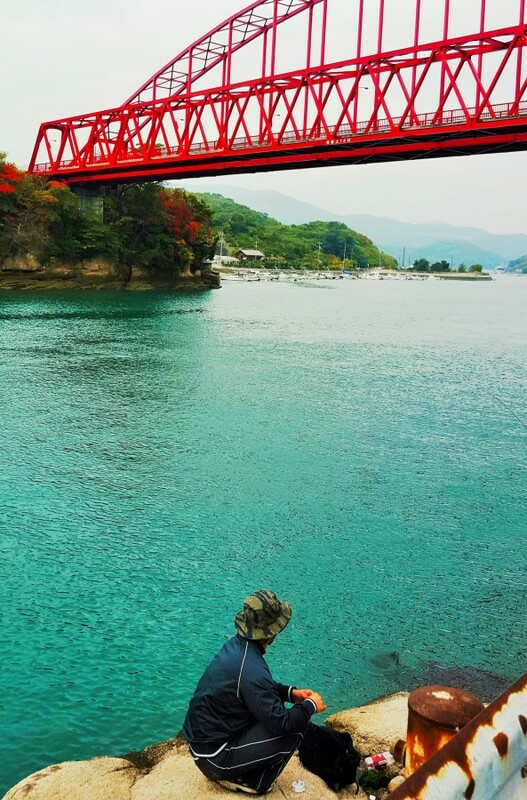 Where to start: Onomichi or Imabari? 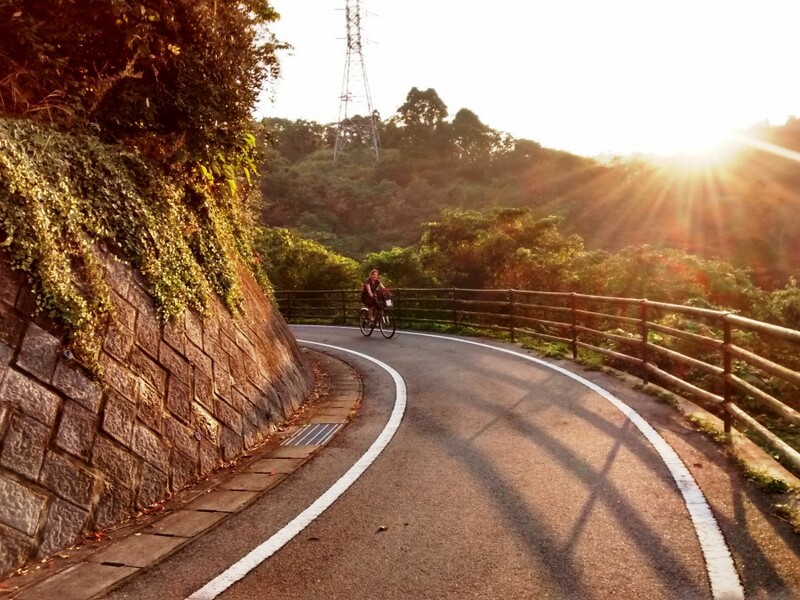 While the official Bike Touring Guide Map lists Imabari as the starting point and Onomichi as the end point, it seems most people tackle the journey the other way around. 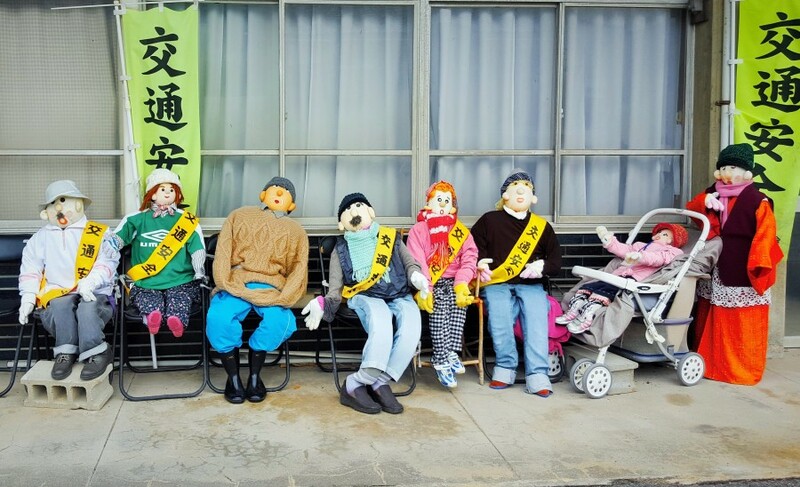 This is probably due to the cobblestone, laid-back town of Onomichi, which is famous for its steamy ramen, historical temple walks and scenic gondola rides offering views over the Seto Inland Sea. In short, this town is cute, cultured and tasty. It’s definitely worth an extra day to visit. 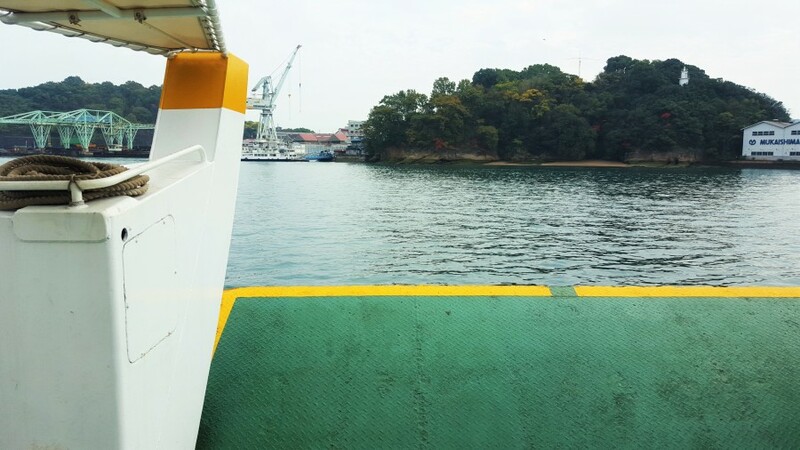 How to get to Onomichi or Imabari? Japan Rail is the main means of reaching either Onomichi or Imabari. 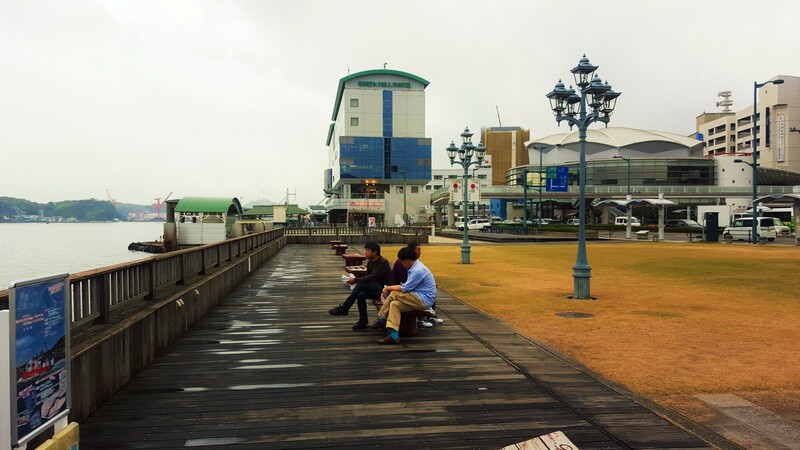 Onomichi Station is about an hour and thirty minutes train ride east from Hiroshima Station. 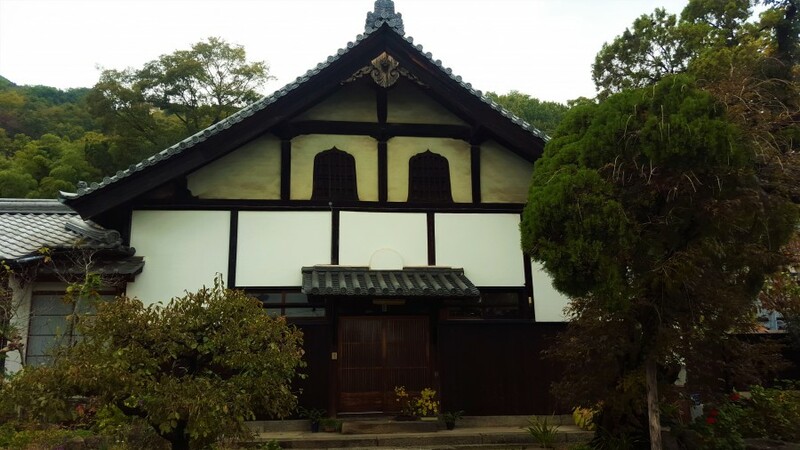 Or, if you are travelling from Tokyo like we did, then take Japan Rail from Tokyo to Fukuyama, then switch at Fukuyama Station for the local train to Onomichi. The entire journey from Tokyo to Onomichi will take around six or more hours. 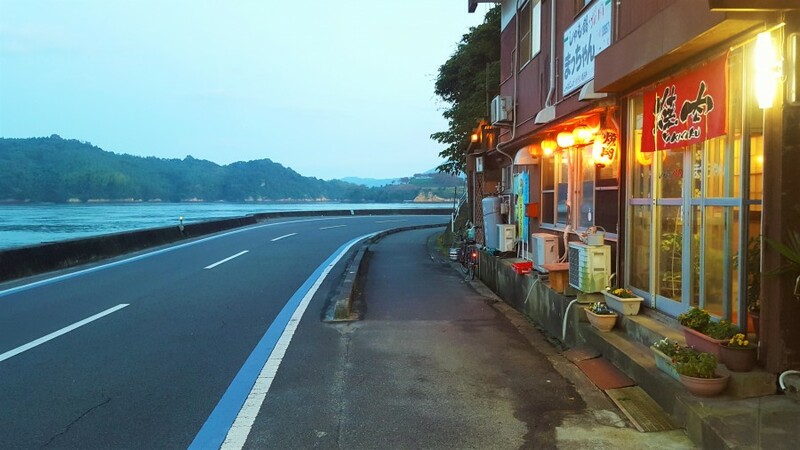 Once in Onomichi, the Rent-a-Cycle station and trail-head (both of which are situated by the Green Hill Hotel) are within easy walking distance from the train station. 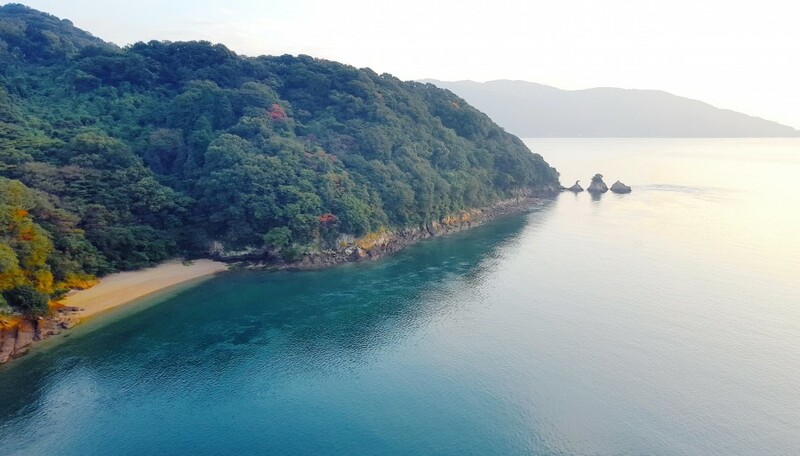 If starting from Imabari, then depending upon which direction you are travelling from, you’ll be at least a six and a half hours train ride from Tokyo, with a switch at Okayama Station, or if coming from Hiroshima, then the most direct route is simply to take a train to Onomichi, then travel by bus to Imabari. If you do this, you’ll basically be doing the cycling route. Tip: If you plan on doing much traveling in Japan over the course of a week or more, consider getting the Japan Rail Pass. 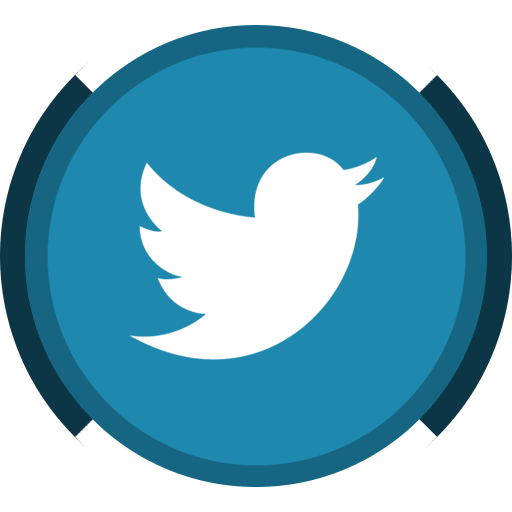 It’s super convenient and will save you money! Due to its ease of access and plain old charm, Onomichi is the recommended town to spend a night or two. The Green Hill Hotel is an obvious choice for cyclists as it is situated directly between the Rent-a-Cycle station and the ferry terminal. 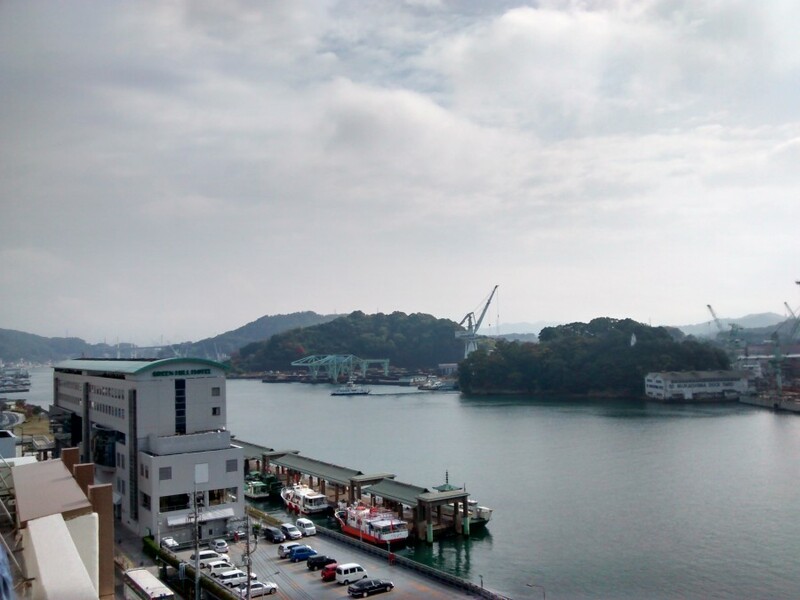 Other nearby hotels include the bicycle-centric hotel Onomichi U2 and the budget/business hotel Onomichi Daiichi. We stayed at the latter, and while the room was small and basic, it was clean and affordable and served our purpose. The Seto Inland Sea area is known as the Mediterranean of Japan. The winter may be a wee bit too brisk for most, but the bike path is open year-round. Spring and fall offer moderate temperatures—and beautiful scenery with spring blossoms or autumn foliage—while summers can get a little steamy. 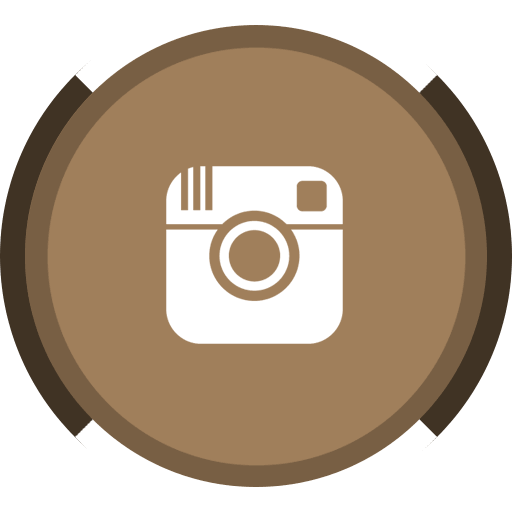 August is the hottest month, with temperatures ranging from 76 to 91 degrees Fahrenheit. Still doable, but come prepared to sweat! We went in November and were comfortable in bike shorts (for Sam)/leggings (for me), wicking t-shirts and light jackets that we used intermittently. Mostly, though, the weather was just the right degree of cool, and the autumn foliage was gorgeous. Whenever you go, bring a light jacket or poncho for rainy days. It rained on and off for us—more of a misty, Seattle-like shower than true rainfall—,and while we continued riding regardless, it would have been a soggy journey without our rain-wear. But rain or shine, this ride is worth it! *The actual distance of the Shimanami Kaido Trail is apparently in dispute. Some sources claim it is 60 kilometers while others claim 70. We road the entire route from Onomichi to the Imabari town hall and it was closer to the 70 KM mark, accordingly to our odometer at least.